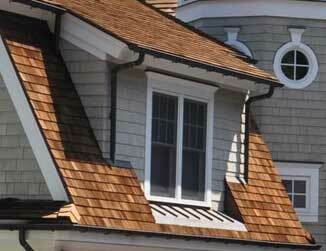 Cedar-Life, a division of Landmark Exteriors, is a leader in cedar roof and siding preservation. Our proprietary process cleans and preserves cedar, delaying the harmful effects of sun, rain, and snow. If your cedar has already been damaged by the elements, we can restore and rejuvenate the natural beauty of your cedar. Cedar-Life delays the onset or return of mildew and algae and will improve the structural integrity of the roof or siding. We are a local provider with a long track record servicing homes throughout Fairfield and Westchester counties. We use only proven, tested and certified products. Our cedar cleaner/restorer is bleach-free and environmentally-friendly. The product also provides a water barrier to prevent surface erosion and water leaching of natural wood preservatives into the wood pores and it is not a surface film. Our preservation process has been proven to last longer than the competition. "Your team did a fantastic job at our home… Work was quick and professional… I love the wood split color matching. Thanks for a great job!" "I am very pleased with the job your crew did. They were meticulous while power washing the roof and while applying the oil. They left my home exactly as they found it. Other than the fact that the roof looks terrific, you would never know they were here – the cleanup was that good." 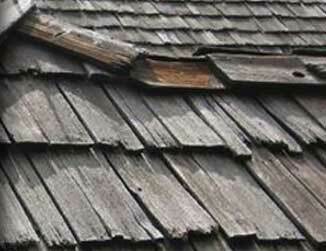 "Scott Teed is recognized for his knowledge of cedar and cedar roofs, and he took the time to educate me on the Cedar-Life process and to answer my questions. I was impressed with the level of detail shown in caring for every edge and surface, including how to stand on my roof to avoid damaging the wood, how they protected the wood fibers by using the perfect angle and pressure for cleaning, and their choice of premium cleaning and treatment products that are recognized by the Cedar Shake & Shingle Bureau. I know I made the right choice."